This error message is coming in the one of our router's log constantly. 081062: Feb 18 09:24:08.621 EST: %CERM-4-TX_BW_LIMIT: Maximum Tx Bandwidth limit of 85000 Kbps reached for Crypto functionality with securityk9 technology package license. It is caused by our Security k9 license limitation. Basically if you do not have a HSEC-k9 license installed on your ISR G2 router, you will see this error message on the console if the traffic exceeds 85-Mbps unidirectional or 170-Mbps bidirectional. By upgrading to hseck9 license should be able to remove this error messages. 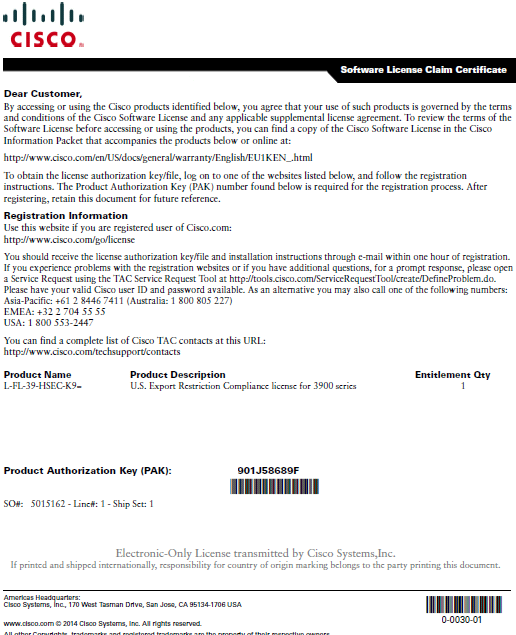 Cisco document Cisco ISR G2 SEC and HSEC Licensing explains well what the difference is between them. "The HSEC-K9 license removes the curtailment enforced by the U.S. government export restrictions on the encrypted tunnel count and encrypted throughput. 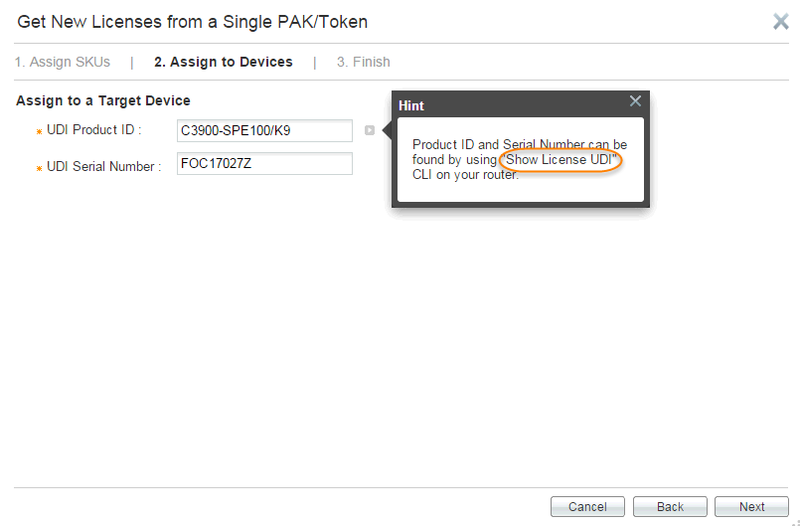 HSEC-K9 is available only on the Cisco 2921, Cisco 2951, Cisco 3925, Cisco 3945, Cisco 3925E, and Cisco 3945E. With the HSEC-K9 license, the ISR G2 router can go over the curtailment limit of 225 tunnels maximum for IP Security (IPsec) and encrypted throughput of 85 -Mbps unidirectional traffic in or out of the ISR G2 router, with a bidirectional total of 170 Mbps. " From our Monitoring software PRTG living traffic, it shows between 8:45AM and 9:00AM, there are obviously traffic spike which reached almost 40mbps. The data was collected and averaged by per minute from PRTG software. It seems the traffic might reach 85mbps at a couple of seconds and triggered this error message on the router logs. 1. 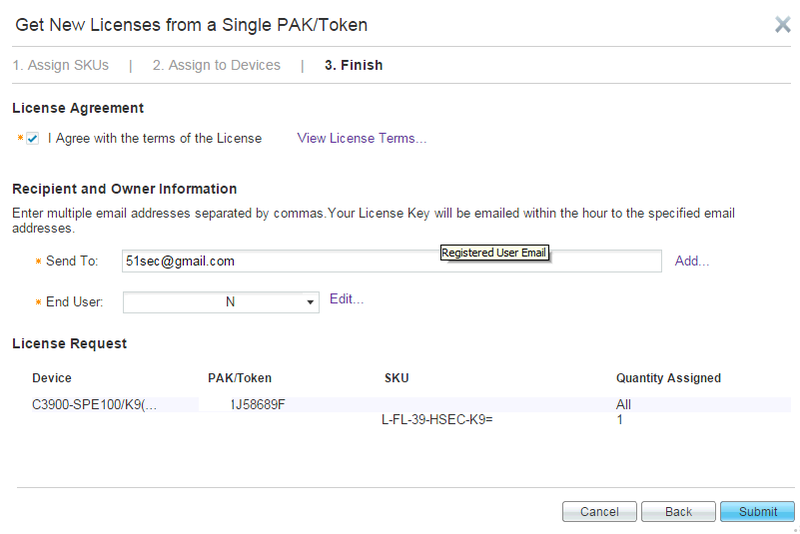 Get PAK number from your vendor who handles purchasing for you. Address or name of remote host [10.94.1.1]? 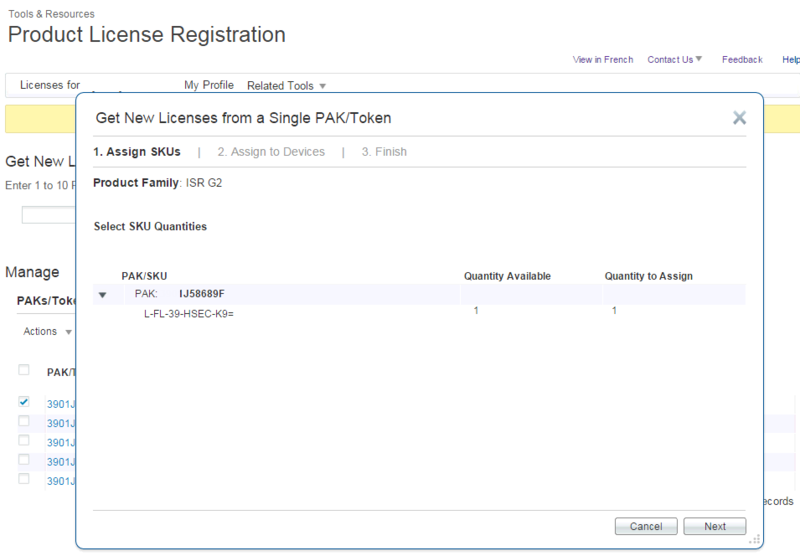 There is no way to find out hseck9 license has been applied from show version and show license since security k9 license already applied. Is this affect only the IPSec traffic? What about GRE tunnel interfaces without any ipsec? GRE tunnel is supported byUniversal IOS image and the Base license.